I hope you're having a wonderful day. 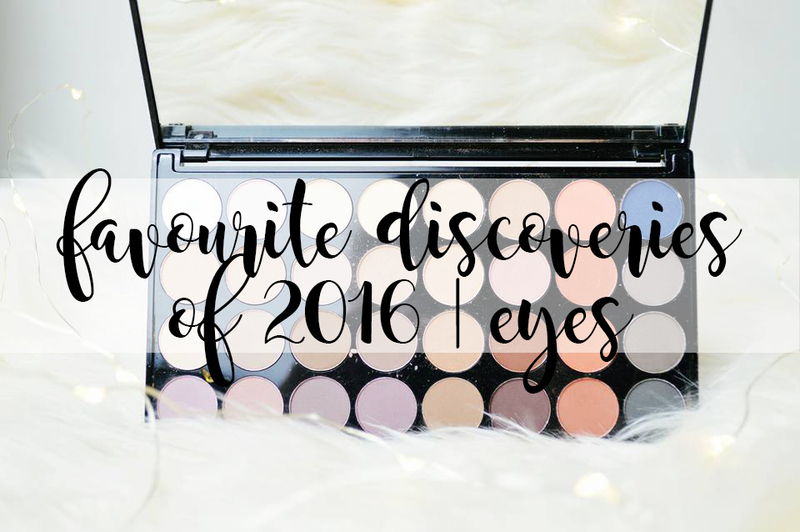 After having a lot of feedback on my favourite lip discoveries of 2016, I thought it was only rightly so to also share with you my favourite eyeshadow palette discoveries of 2016 as well. Eyeshadow is 100% my favourite makeup product. You can create so many different looks with one eyeshadow palette and the way different colours make your eyes look, absolutely amazes me. I will always say Makeup Revolution is my favourite high street brand when it comes to eyeshadow. They are always pigmented, they're easy to blend and I love the variety of palettes which they have on sale, you will always find one you love. However, I picked up two palette's from MUA near the end of 2016 and I have completely fallen in love with this brand as well for their palette's; they are absolutely gorgeous. I think this was the last palette I picked up in 2016 and it's the Makeup Revolution Flawless Matte 2 palette. 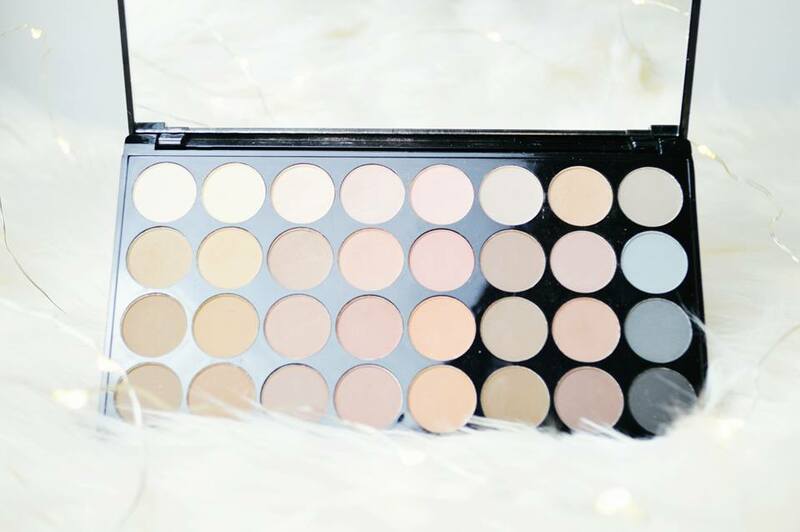 A beautiful palette filled with 32 gorgeous matte, natural shades. I cannot lie, I absolutely love a shimmery eye however sometimes I do love to pick up my Flawless Matte palette and stick to a natural, matte eye look especially when I'm going to work. I saw this palette all over my Instagram for ages but I could never find it in my local Superdrug store and then one day, it was there and I picked up the last one. 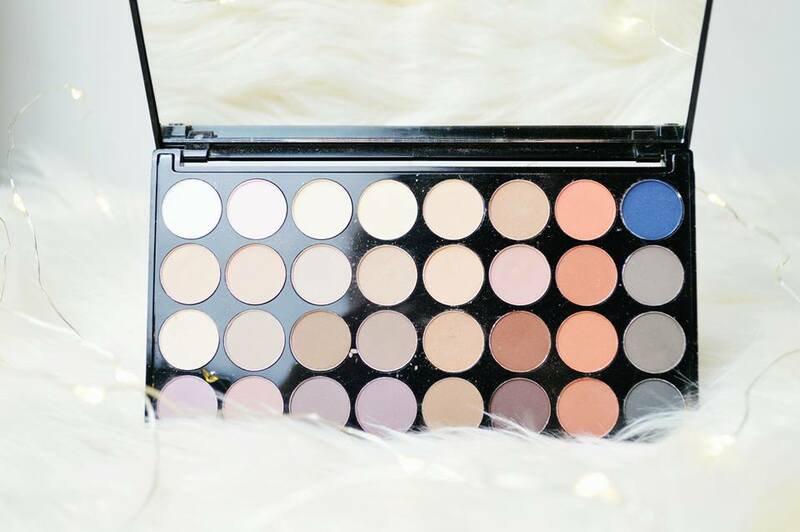 I especially love the warm tone shades in this palette and how there are so many to choose from; it definitely takes a few minutes to decide what shade I want to use in my crease. 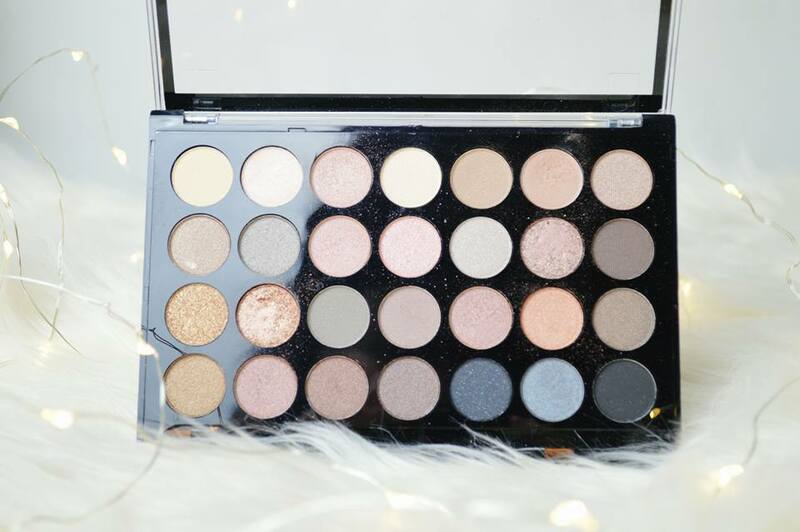 An overall incredible palette if you're looking for a matte look! Above is also the Flawless Matte 1 palette; a very similar palette but more natural shades. As I mentioned MUA have some incredible palette's and this one is 100% my favourite out of them all. 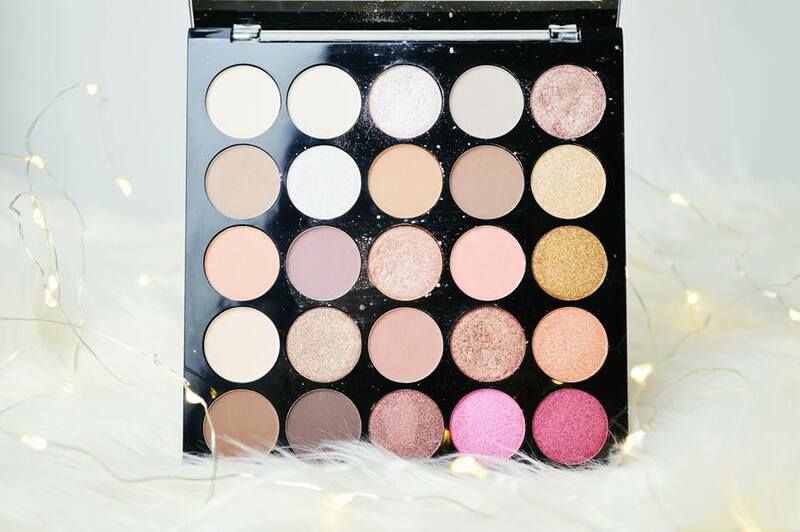 (The Burning Embers Palette) Not only do you have your absolutely gorgeous sparkly, shimmery shades but there are also some incredible matte shades which are perfect to deepen and define your crease. As you can see, this has been used a lot and that's why I'm sharing this palette with you; I love it. I have mentioned this in so many different posts on my blog over the past few months, I'm sure you're pretty sick of seeing this palette if you don't love it as much as I do! As you might see, I do love matte palettes, but this one has no matte shades and I think that's why I love this one so much out of my collection. It's definitely the most perfect palette for Autumn; there are so many incredible golden/bronze/copper shades which I would love to wear all at once all over my face. Now that would be a scary look but it would show how much this palette is perfect for Autumn with the crispy leaves outside changing colour! This is a Nurbesten palette (I know, you've probably never heard of them before), but for around £16 for this palette; it's definitely worth it. The shades are insanely pigmented, and I mean; insanely. You wouldn't think this only costs around £16. Lastly is another MUA palette; with the typical matte and shimmer shades; but such a large variety of different colours; you could create so many different looks from this one palette. 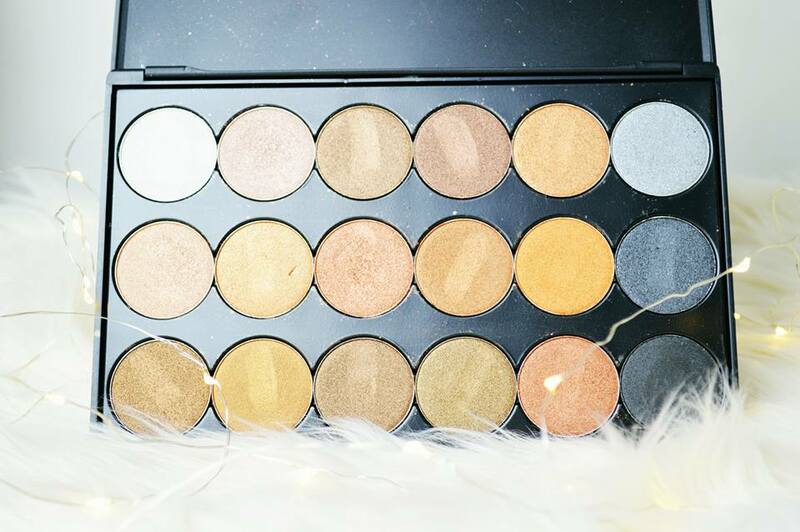 I love this palette purely because of the shimmery shades; the golds, the coppers and the natural pink tones. I think they are absolutely stunning. I'd say this palette is slightly less pigmented than the Burning Embers palette mentioned further up this post, but each and every eye shadow still holds a lot of pigment. They're so easy to blend, and it's such an affordable palette too; I believe it's £6, maybe £8?